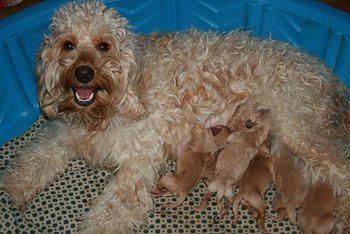 Dixie, our mini/medium size f1b Goldendoodle mom. This special girl would be an asset to any breeding program. OFA hips good, elbows-neg. Cerf-normal.